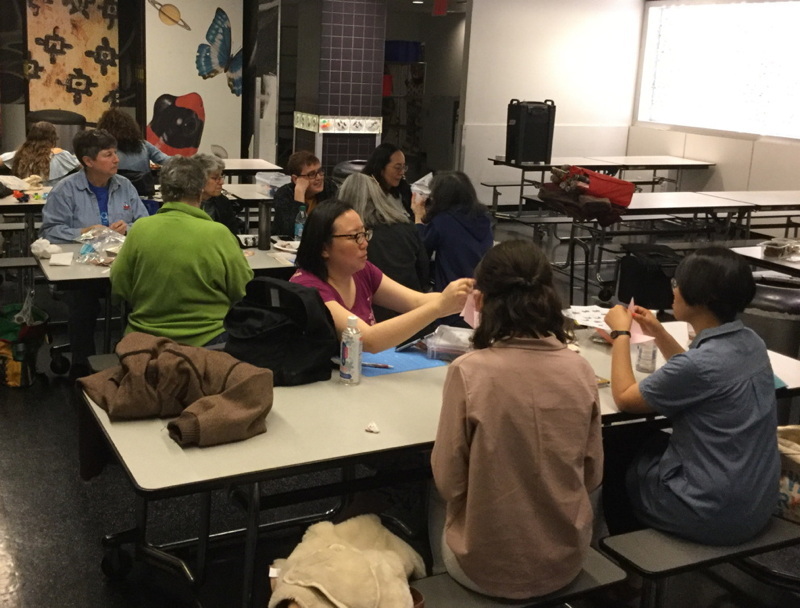 Folding Sundays are monthly meetings in New York City that encourage paperfolders to get together, teach each other, and exchange ideas. They are held on the 4th Sunday of each month in New York City at the American Museum of Natural History from 1:00 PM to 4:00 PM in the School Lunchrooms on the Lower Level or the 2nd floor Rose Center classroom. Gay Merrill Gross and Arlene Gorchov. All OrigamiUSA members in or visiting the New York City area are invited to attend. Although this activity is for members only, we invite non-members to come for a trial day before they decide to join OrigamiUSA. Folding Sundays are similar to the informal folding in the communal room at origami conventions. Please bring folding paper plus something to share. 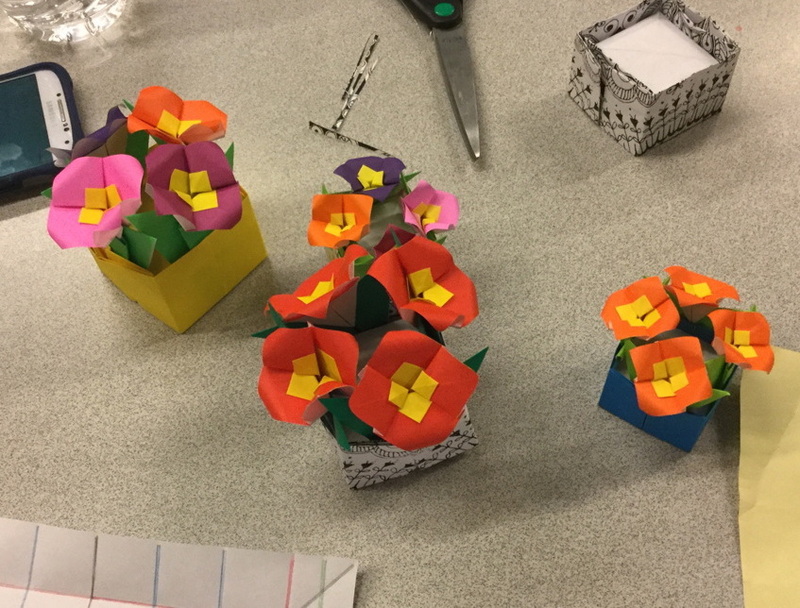 It's especially appreciated if you bring a model to teach, but if you're not comfortable teaching yet please bring something else to contribute, for example, a model that you've been enjoying folding, an origami book or newsletter others might find of interest, or paper for the group. We will have a special “sharing table" set aside for display of models to teach, models to show, books, publications, and paper contributions. 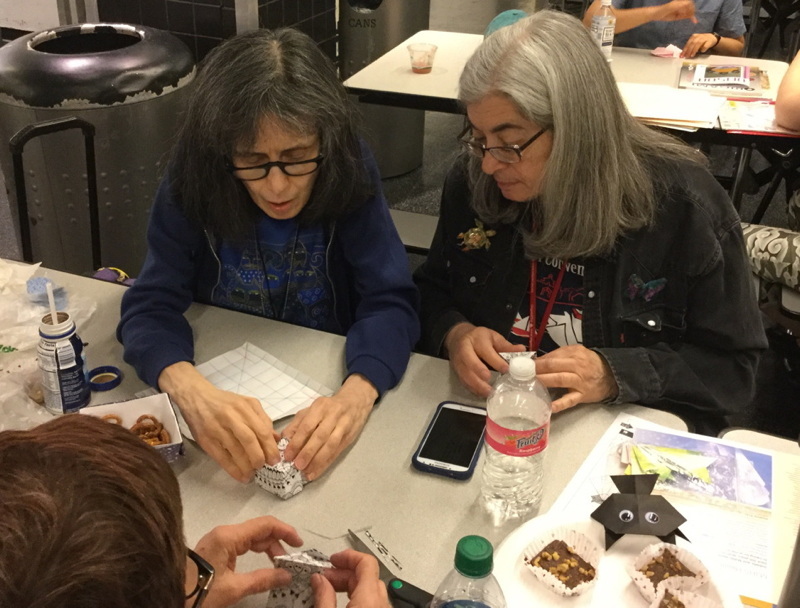 These informal monthly meetings are a continuation of the tradition that our founder, Lillian Oppenheimer, began over 50 years ago to encourage paperfolders to get together to teach each other and exchange ideas. For more formal classes in New York City, watch for information on Special Folding Fun Sessions. To get announcements for this event (regarding any room or schedule changes) please subscribe to the OrigamiUSA members mailing list. If you have questions about Folding Sundays, you can contact the managers for this event, Arlene Gorchov and Candace Paska, at foldingsundays [at] origamiusa.org.